To find best drone for fishing doesn’t sound that easy, right? It’s rather a challenge. In today’s modern world we have a host of new technology and a really wide range of angling copters on the market what makes it even more challenging. Just don’t panic! We wanted to save your time and did a research for you. 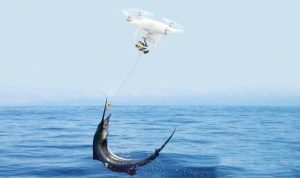 We realize the benefits of owing the best drone for angling and decided to help you with choosing the best drone for fishing that will suit your need and demands. So, it’s not a problem anymore. We’ve already done everything for you. Just keep reading. We understand how they are built and their capabilities. Moreover, we know what to look for and what features are desirable. In the this guide, we will share our knowledge and help you choose the best drone for fishing! What is a good fishing drone? So why would you use a copter for angling? Why wouldn’t you! A drone can be used for any number of tasks. At minimum, a copter can be used to scout out potential angling areas. You can recon a fishing area and keep an eye on the display for for dark water or ripples where fish like to hide..
What else can a drone do for you? Imagine using your model to shower an area with bait instead of having to cast it. Fishing quadcopters are usually equipped with advanced carrying capabilities. You can use your copter to drop your bait in a precise area. Moreover, some quadcopters can carry full fishing rigs! This allows you to get to hard to reach areas – it can give you greater flexibility with your fishing. Drones open up a whole new world of possibilities for your fishing adventure. A fishing drone must be equipped with a camera. Without a camera, the functionality of your craft is greatly reduced. You need a camera to scout out areas and to monitor how the craft is performing. 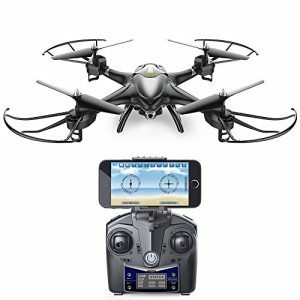 You will use your camera in conjunction with a remote control that has a display – you should be able to see from the perspective of your remote controlled craft while flying it. The camera resolution dictates the quality of your video and photos. A small resolution or small megapixel (MP) quantity will result in a pixelated display. Ideally, you want a display of 1080p or greater – this is full HD quality and will provide a crystal clear image. Rotation and tilt determine the field of view your camera can see. If possible, 360-degree rotation is be perfect, and a full 180 degrees of tilt – this will give you maximum flexibility in your movement and vision. Quadcopters are battery operated. These batteries are special lithium batteries that need to cope with the power output required to make these quadcopters fly. When catching fish with a remote-controlled craft, consider the battery life and how long a battery charge typically lasts? You must be confident in the power supply, imagine if you were flying your remote controlled craft and the battery suddenly died, and the remote-controlled craft dive-bombed into the water? That could be an expensive fishing trip! As a general rule, a copter usually has a battery life of no more than 30 minutes – 30 minutes is usually a push too. 20 minutes is much more realistic and battery life can also depend on what you are doing with the copter. For example, if you are using it to carry heavy rigs the battery life will be less. Also consider transmission distance. This is the distance your remote control will work from. If it has a transmission distance of a half mile and you fly the drone further, you will lose control. Consider how you will use the drone, and what maximum distances you will need to operate at. The motor size is greatly determined by the frame type and size. So first things first, consider the size of the drone. Once you know this, you can pick a motor that has enough power and torque. Next select your propeller size based on the drone’s frame size. Again, the size of your propellers depends entirely upon the frame size you choose – certain size props only fit certain frames. After this, look at the most important aspect of the WEPT factor. WEPT stands for Weight, Efficiency, Power, and Torque. Do you want a motor that can carry a large weight? 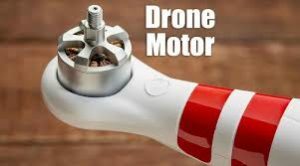 Do you want an efficient motor that uses little battery power? Maybe you want a motor that has a high power rating and can travel at fast speeds? Use the WEPT function to help choose your motor. When using a drone to catch fish be sure to choose a model that has excellent torque. There is much more data and statistics involved with choosing a motor. If you are building your copter from the ground up, you will need to look at the power ratio tables and other figures. However, if you are simply purchasing a stock machine – the motor is includedu, so there is no extra work. Quadcopters come in various shapes and sizes. Some quadcopters are small and cannot carry large payloads. Others are much bulkier and can cope with carrying full angling rigs etc. Consider what you will be using your machine for as this will determine the size and weight you will require. If you are simply using your angling drone for scouting out the water, the best small drone will do – you don’t need a heavy duty drone – just something that will carry a camera. Alternatively, if you want to set your drone up with complex angling rigs, the best big drone must have a higher weight capacity and motor power. 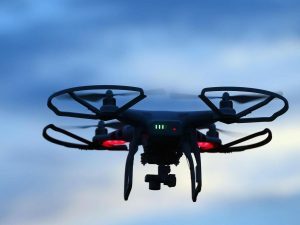 Drones, or unmanned aerial vehicles, range in price and complexity from plastic toys to advanced professional powerhouses. 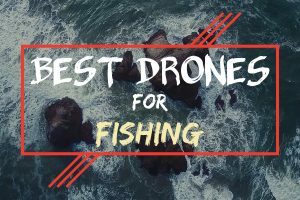 Here is our list of great drones for fishing. While many models work well as platforms to seek out your prey, others do not. Swellpro’s Splash family of drones are one of the only completely waterproof drones around. These drones, can even take off or land from the water. Imagine the advantage of having your fishing drone be completely waterproof. 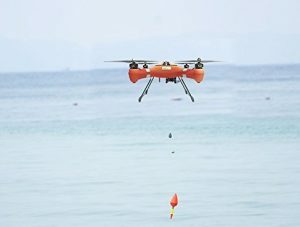 Fears of losing your drone at sea or of damaging its delicate electronics are of no concern with a Splash drone. SwellPro is the market leader in waterproof drone technology. Their original Swell was launched after a successful kickstarter campaign. Their products are built in China and available through distributors worldwide. 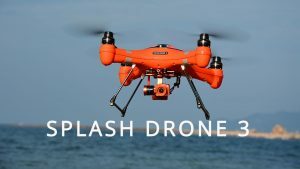 The SwellPro is perfect for drone operators near water – surfers, boaters, and fishermen will all love the survivability of a Splash should anything go wrong during flight. The Splash from Swellpro is the best drone for fishing available, simply because it has one feature no one else has, it’s waterproof! 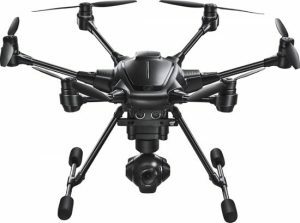 The only hexacopter on our list, and at an amazing value, is Yuneec’s Typhoon H Pro. This impressive machine can fly on only 5 rotors in a pinch and features a great array of technology to keep itself out of trouble. Yuneec is a leading manufacturer of unmanned aerial vehicles offering quadcopters and hexacopters. Their products are aimed at consumer and professional users. Even their beginner copters have features inspired by professional pilots and filmmakers. The Typhoon is the perfect craft if you want to scout out fishing locations with a drone. The follow me and RealSense Technology obstacle avoidance sensors make flying the Typhoon a worry-free experience. The Yuneec Typhoon H Pro is an impressive drone for fishing. 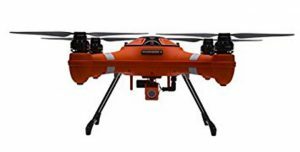 The hexacopter technology makes this a stout and reliable machine that offers some serious video capability for scouting out your next hot spot. 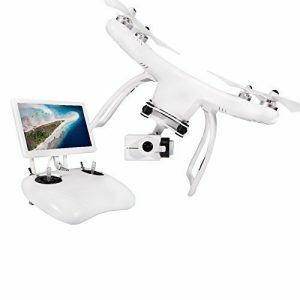 DJI’s Phantom series aircraft have been a popular choices for photographers and enthusiasts for years. 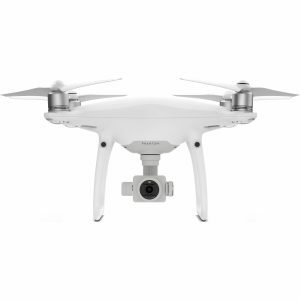 The Phantom 4 Pro continues this tradition pairing a stunningly capable camera to an easy to fly airframe. DJI has been the market leader in unmanned aerial systems for several years, and their offerings keep improving. 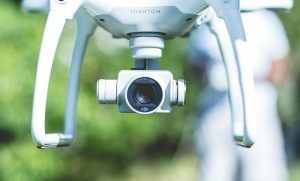 They make drones for everyone from beginners to seasoned professionals, and they are used all over the world for capturing amazing video and images. DJI’s products have always focused on photography. Their drones feature great cameras, so if you’re looking for the best fishing drone to scope out schools of fish using aerial surveillance, the Phantom is a great choice. If you’re looking to catch fish with a drone, the DJI should be on your list. This unit has the best quality camera available, so if you’d like to explore your photography options on land-based adventures as well, give the Phantom 4 Pro a look. DJI makes many versions of Phantom drones, all based on the same airframe, with a different set of features. The Phantom 3 Standard features a lower resolution camera than the 4 Pro, but it has plenty qualities to use as a fishing drone. DJI, the same company that brings us the amazing Phantom 4 Pro, produces several models in the Phantom lineup. The 3 Standard is an entry level and least expensive option. This entry-level Phantom has just what you need to get started catching fish with a drone. It doesn’t have all the features of its big sister, but it flies well and is easy to use. 3D Robotics’ Solo quadcopter is an entry-level drone. Instead of including its own camera, you can fly your own GoPro from an optional gimbal. 3DR is a consumer manufacturing company that makes photography vehicles. They also provide custom software to help professionals use their drones more effectively, through programs like Site Survey. If you’re looking for the least expensive drone for fishing, the 3DR is a good choice. It carries a GoPro, so it’s best if you already have a GoPro. The 3DR aircraft is a good option for catching fish with a drone if you already own a GoPro. If you need to buy the camera too, we’d recommend getting a newer drone design that includes an integrated camera for easier setup. UPair’s One is an entry-level craft that includes everything you need to start catching fish with a drone. These are basic machines that are perfect for learning before upgrading to more rugged or professional gear.UPair makes several models, from their “Basic” to their “2 3D+4K”. Their aircraft all feature similar easy to use controllers and good quality cameras. Ready to go out of the box with its own controller screen and HD camera, the UPair requires no additional equipment or setup. 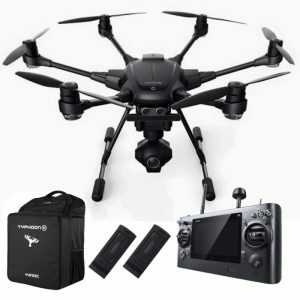 This is a great buy for a basic drone with everything you need. The UPair is a good value for a fish fishing drone. If you are uncertain if you can use aerial photography for angling, a UPair is cheap enough to give it a shot. Potensic’s T25 is the best value for money drone you can find. Instead of including a screen on the controller, their craft interfaces with an app on your smartphone. Potensic designs a wide range of drones, from minis made specifically for kids, to advanced units for high quality photography. This Chinese made unit is available all over the world and offers a 15-day money back guarantee and a 12-month warranty. The Potensic is a plastic consumer drone, but it will get you in the air and hunting for fish. If you want to try it and get a cheap drone to learn on, check out the Potensic. This is a budget-friendly aerial vehicle. It’s not as well made as more expensive models, and its camera is more basic. For the money, if the worst happens and you crash it in the ocean, you might not cry so much. The HS200D from Holy Stone is another consumer craft featuring a built-in camera and smartphone-based control system. This model is even cheaper than the Potensic, and is lightweight but has limited range. Holy Stone makes many consumer drones, mostly marketed as toys. Lightweight drones like the Holy Stone might not make the best drone for fishing since they have a minimal range and lack the power necessary to hover in windy conditions. If your fishing holes are protected rivers and streams, a lightweight drone like the HS200D might work for you. While the HS200D is the best value drone with a camera, its use as a fishing drone is somewhat limited. Another variant of Yuneec’s Typhoon H hexacopter. The Pro Bundle does not include RealSense obstacle avoidance technology. This saves considerable money. The Pro Bundle comes with a carry case, video controller, spare batteries, and a separate camera remote. Yuneec doesn’t make toy aerials, they make prosumer and professional video platforms. This US-based company out of Corona, CA, handles warranty and customer service issues. As a fishing drone, the Pro Bundle makes the most sense. RealSense technology is convenient during land-based photography, but offshore and over water, there aren’t many obstacles to hit. The Typhoon H is an impressive platform, and the Pro Bundle makes it competitive with the Phantoms. 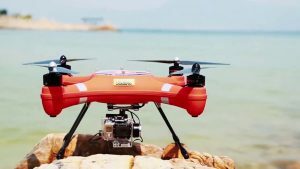 For the same price, you can get the power and reliability of a hexacopter, which gives you more options in windy conditions when you need more performance from a drone used for fishing. DJI’s Inspire 2 is a professional level aircraft designed for professional photo and video production. This is an impressive machine, and you can mount a variety of high-quality cameras and gimbals to its payload bay. DJI, the company that brings you the Phantom line for prosumer photography, also produces this professional level product with a variety of compatible camera options. The Inspire is compatible with the ZENMUSE X7, X5S, and X4S cameras. Even without an extra camera, the Inspire is the best fishing drone. 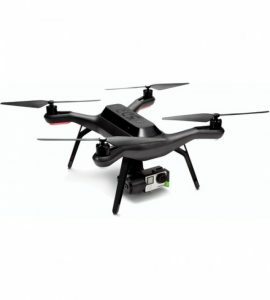 Its built-in FPV camera allows for 2-axis tracking for aerial views even without the optional ZENMUSE camera. While it’s probably overkill for fishing, DJI’s Inspire 2 is a great aircraft. Unless you are looking to get into professional video recording, you’ll be better off saving some money and getting one that includes a 4K camera and video screen controller. 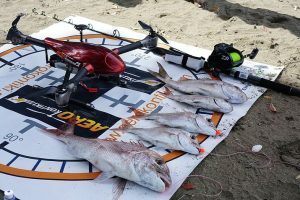 Fishing with drones is a relatively new technique. Here are some answers to the most common questions people ask about how to use their drone to catch fish. 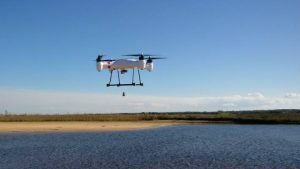 What load can a fishing drone carry? The payload of the drone varies with each drone. Some drones, like Swellpro’s Splash, are designed to carry an external load that can be a camera, fishing equipment, or even a life preserver! Other drones are intended only to lift their own weight and lack enough power for anything else. 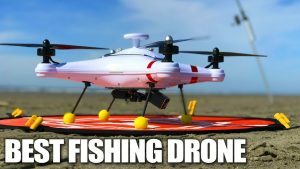 Is it legal to use a drone for fishing? Yes! In most countries, you will need to at least register your drone. If you plan to use your drone as a business, you will need to be a licensed unmanned aerial vehicle operator. In the United States, this is issued by the Federal Aviation Administration. You will also need to check your local fishing area for any restrictions. For example, drones are not permitted in US national parks. Is it dangerous to use a drone for fishing? Drones are designed to be easy to fly and safe. Flying over groups of people is not permitted for safety reasons. For fishing, most of the time you will operate your drone over water. Many models have built-in obstacle avoidance features that can help you avoid sailboat masts and other boats. What makes a drone good for fishing? Fishing drones need to be rugged and powerful. If used in windy conditions, low-powered drones may not be able to make headway and may not be able to hover. Additionally, since your drone will be used around water, a waterproof drone makes the most sense. Is it safe to fish with a drone? Yes! Drones are very safe to use for a variety of uses. If you are a new RC pilot, you will want to practice with your copter in a wide open area free from obstacles before trying to fish with it. Like anything, learning to fly a drone safely is a skill you must acquire. Modern features make it easy to do so. What is the best drone to buy for the money? The top pick for the best drone for fishing is undeniably the Swellpro Waterproof Fishing Drone Splash Drone 3. Its waterproof fuselage and protected motors mean that it will survive accidents. The ability to take off and land in the water make it unique among all other drones. It is also the only model on our list that includes payload options specific to fishing, making it the perfect choice as your next fishing partner. 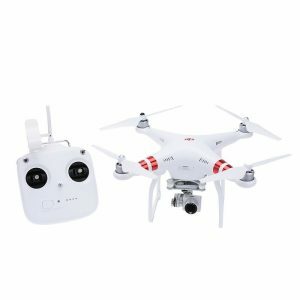 If you are looking for the best video quality and want to use your drone for other activities, you can’t go wrong with the Yuneec Typhoon H or the DJI Phantom 4 Pro. All these companies make a variety of products suitable for every fisherman, so be sure to check out all they have to offer.